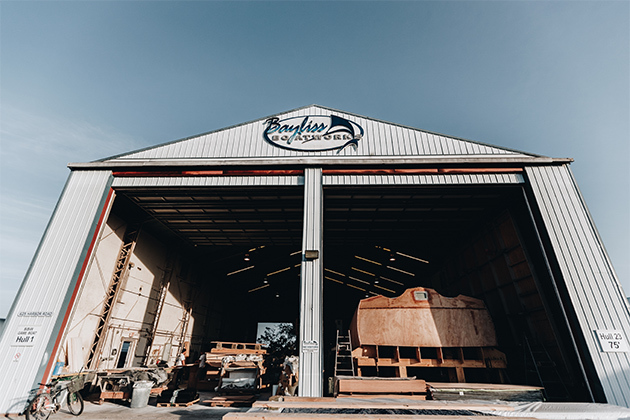 Bayliss Boatworks is a state-of-the-art facility designed to build the best boats in the most efficient manner. Four construction bays, three for new construction. A 45′ tall paint-spraying shop and a 12′ by 40′ small parts paint booth, separate from the dust-producing construction process. 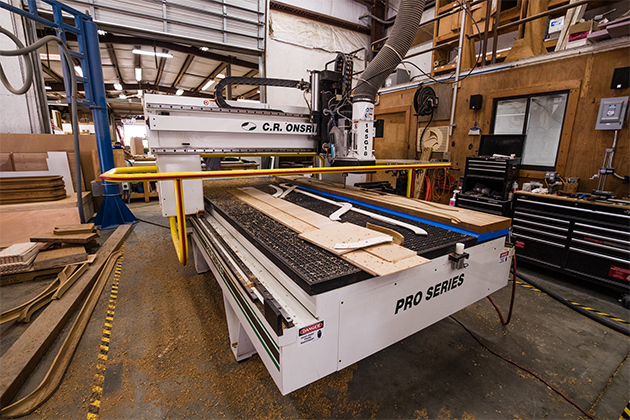 A 4000-square-foot cabinet woodworking shop for building custom interiors, including a 12′ by 40′ interior finish spray booth. Complete metal shop for fabricating stainless steel and aluminum brackets, parts for new and service boats, etc. 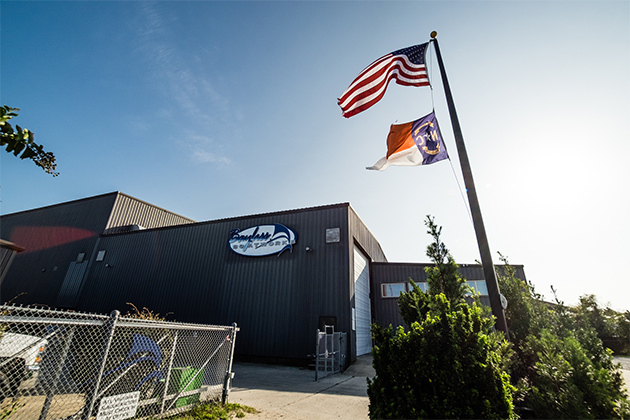 A three-level workshop with redundant tool sets and smartly designed storage rooms increase efficiency, enabling employees to devote more time to the creative process of building custom boats. Full service Marine Store with over 2,000 items in stock, in addition to a complete assortment of stainless steel fasteners and other essentials. The store is open to the public and includes cleaning supplies, bottom paint, AlexSeal and Awlgrip top coats, varnish, special order parts and more. We specialize in parts delivery to vessels out of the country.